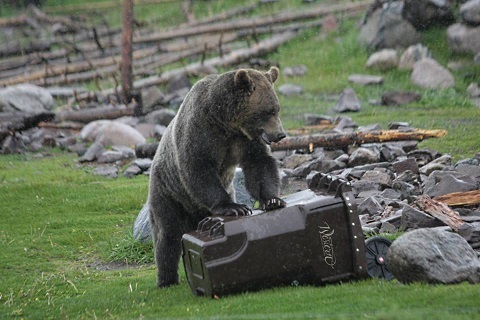 At Yellowstone National Park, these rescue bears have an important work program. In Boulder, Colorado, there’s been a history of bear problems. Just last year, four bears were euthanized because they couldn’t stop coming around the Boulder population and raiding trash bins. That’s bad for both people and bears. So the Boulder City Council decided to do something about it. 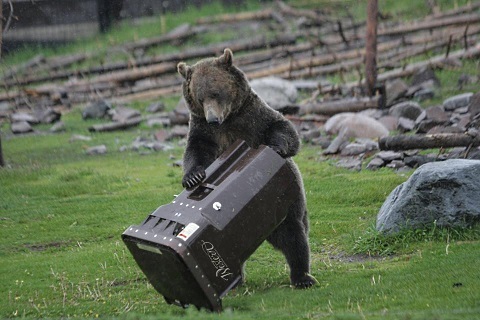 One thing they’re trying is insisting on bear-resistant trash cans. Local waste disposal company Western Disposal has taken on the challenge. 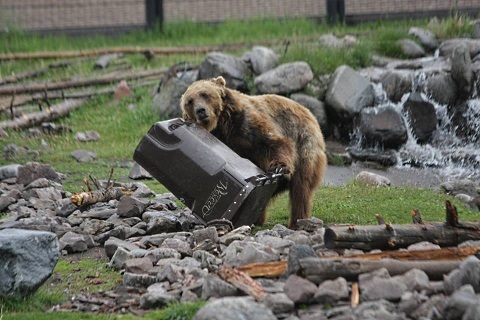 How do you know your waste bins are bear-proof? Simple. You test them on some bears. 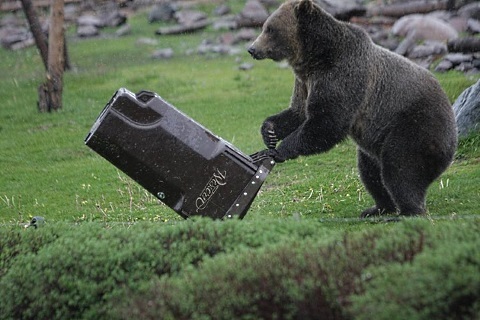 The Inquisitr reports that Yellowstone National Park currently hosts the country’s only such testing facility for garbage disposal bins, staffed entirely by rescued bears that live on the premises. 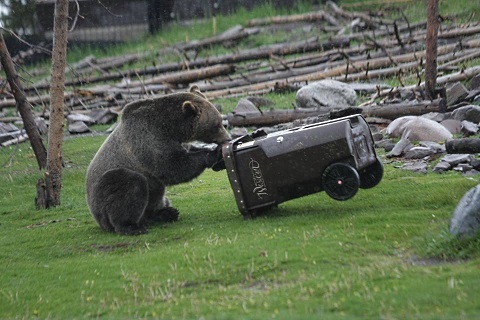 Here are some more photos of the bears’ rigorous testing process, courtesy of Western Disposal. With moves like these, those bears could totally join the WWE if they tried.